Kezmo is an enterprise chat and team collaboration platform that can be customized and integrated to any system in your organization. It’s based on a small set of core concepts, which are: work spaces, conversations, containers, and container items. A workspace is a pocket of context to collaborate around any given subject. It can be a team, a project, an short term initiative, a client, you name it. 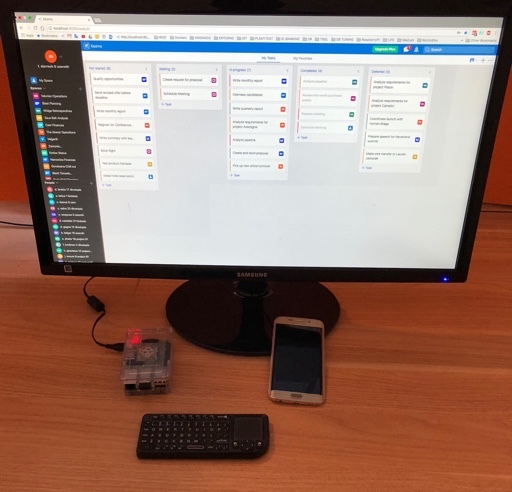 Members can be invited to workspaces by it’s creator, where they can exchange conversations, documents, notes, tasks which are stored in workspace containers. The underlying design goal was to provide an intelligent way to store and categorize shared content by type, attempting to overcome chat archeology whenever you need to go back and recall what was the agreement, link, or file shared at any time. You can try the vanilla version from the cloud, or you can run it on premises. We implement white label versions of Kezmo, with custom content types, forms, and automations to integrate it into domain specific systems, in health, finance, and construction. If this could interest you let us know. You can try the vanilla version from the cloud by signing up here, or your can try it in your own premises with the docker image we’ve recently released. We would really appreciate any feedback on the setup process.